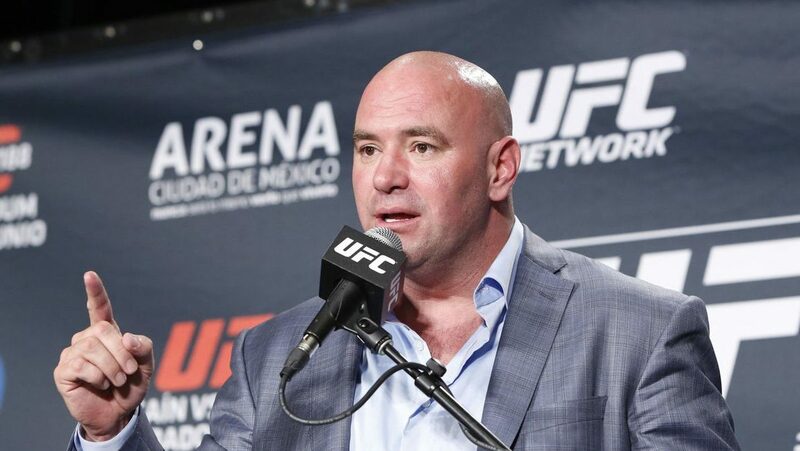 Following the report of Jon Jones’ drug testing issues and the Nevada State Athletic Commission’s refusal to let him fight, in an unprecedented move, the UFC opted to move its UFC 232 event on six days’ notice from the T-Mobile Arena in Las Vegas to The Forum in Inglewood, California. The decision was negatively received by a wide margin across the MMA community. Fans who had purchased tickets and travel packages to Las Vegas were now left scrambling for refunds or had to eat the losses. Meanwhile, fighters complained that the move interrupted training camps and weight cuts, and that they’d take a money hit in the move to California, which has the highest state income tax. Nevada has no state income tax. Fighters will lose somewhere between nine and 13 percent of their purses, depending on where they fell in the UFC’s money-making brackets. But White didn’t feel too sorry, as he says he also takes a major hit in the decision to move the card rather than cancel Jones’ title fight with Alexander Gustafsson, as he says the move to a neighboring state cost the UFC $6 million. While White admits he doesn’t know if the pay-per-view revenue will be enough to make up for the losses in order to keep Jones on the card, he feels this decision was best in the interest of the fighters. “Pay-per-view is always a crap shoot, you don’t know how that’s gonna go. Listen, this was the right thing to do,” White said. “At the end of the day, USADA’s not gonna put their reputation and their business on the line for one fight or one guy. We would never put anything on the line for one fight or one guy. We could have canceled this fight, moved it to March until he had time to go through the Nevada State Athletic Commission stuff, and just did this in Vegas. This was the right thing to do. California was already intimately involved in his situation, they knew everything, it was easy to get done, and the venue was available, so we moved it. We’re here, this is how we work, this is what we do.